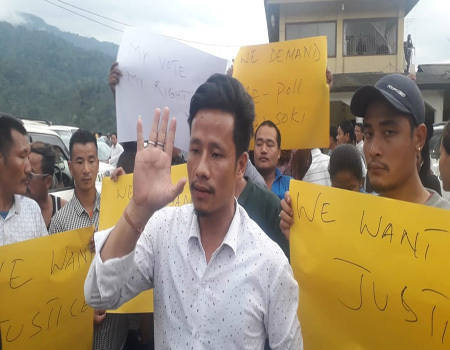 NEW DELHI, Feb 4: Members of the North East Students’ Organization (NESO) on Monday met various opposition leaders here to step up the mobilization against the citizenship amendment bill (CAB). 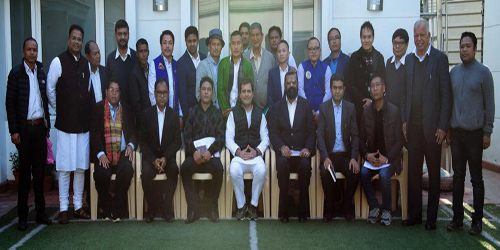 A NESO delegation interacted with AICC president Rahul Gandhi at his residence, where all the constituent members were given a chance to put forth their opinions on the contentious bill. 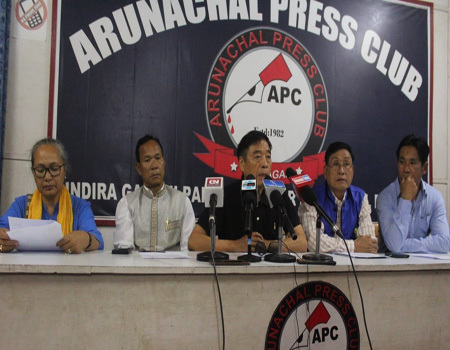 On behalf of the All Arunachal Pradesh Students’ Union (AAPSU), its general secretary Tobom Dai highlighted the fear and anxiety of the indigenous people of the state. the legislation and it will have a catastrophic affect on the demography of the state,” Dai claimed. After hearing the opinions, Gandhi assured the delegation that he is against any act or legislation that would assault and pose a threat to the languages, cultures and identities of the indigenous people of the Northeast region. The NESO delegation also met TMC parliamentarian and senior leader in Rajya Sabha, Saugata Roy, to seek his party’s support. They also called on senior Janata Dal (U) leader and Rajya Sabha Member KC Tyagi, and expressed gratitude to the Nitish Kumar-led JD (U) for being the first party to openly come out against the CAB. In the evening, an AAPSU team separately called on the state’s lone Rajya Sabha member Mukut Mithi.